Poetry event to feature more than 50 performers of spoken word at the Avalon Hotel and Ballroom. Each winter, our never-ending snowstorms create beauty and hassle in equal measure. Too often, it's tempting to stay home (and stay warm) when interesting events are in the works. But what if we could celebrate the chilly season and the city's rich artistic culture simultaneously? On Jan. 24, Snoetry will attempt to do just that. Snoetry is a day-long gathering of the region's best poets and spoken-word artists. More than two-dozen writers from the Erie area will perform alongside noteworthy authors from Pittsburgh, Cleveland, Buffalo, Chicago, Louisville, Ky., and New York City. Presently, more than 50 performers are set to take the stage, so expect a comprehensive overview of the local writing scene. The festivities begin at 1 p.m. at the Avalon Hotel and Ballroom, with 10-minute performances continuing until 11 p.m. But don't worry – they'll take a short break each hour to let you catch your breath. To get a clearer sense of what to expect at Snoetry, I turned to 2014-15 Erie County Poet Laureate Cee Williams, one of the event's emcees. Williams is a key figure in the local literary community, who was recently named the 2014-2015 Erie County Poet Laureate. He also runs Poets' Hall, a nonprofit space that has played a central role in our writing scene since 2010. In fact, there aren't many grassroots establishments like his in the country. According to Williams, Poets' Hall is the only "venue outside of NYC and Chicago [focusing] entirely on Poetry that isn't in operation on a college campus." Williams claims that "it would be nearly impossible to not hear an artist whose work you will appreciate" at Snoetry. If your interests lean toward the intellectual, he suggests checking out Erie's inaugural Poet Laureate, Berwyn Moore, or Greg Brown, the director of the Writing Center at Mercyhurst University. Williams is also excited to hear from Sean Thomas Dougherty, a writer "whose work straddles the line between the academic and the 'street.'" A number of spoken-word performers from Buffalo will be heading west for the event, including Lazyrus and Brandon Williamson – both of whom he describes as "electrifying." 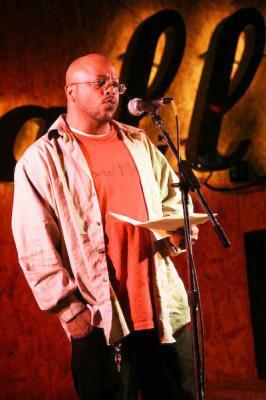 When asked about what makes Erie's poetry scene unique, Williams notes that "an incredible amount of talented people," from a surprisingly diverse array of perspectives, come together to share their work: "Doctors, professors, health care workers, students – nearly every walk of life is represented in Erie's Poetry Community." Williams believes that Snoetry will capitalize on that diversity: "With an amazing array of talents and voices, Snoetry has something for everybody."